One of the most powerful ways to grow your following on Instagram is to get your post featured on the Instagram Explore Page. What happens when you get featured on the Explore Page, you ask? Average amount of likes, comments, and new followers. An explosion of likes, comments, and new Instagram followers! Which translates into massive exposure for your brand or business, a big boost in user engagement, and hundreds to thousands of new followers. With the rate that Instagram changes the rules and tweaks its algorithm, it can be easy to start feeling a little hopeless — but I’m here today to show you how crazy results like those above are possible. What’s an Instagrammer with a small following to do? How do you get heard among the noise? Many “experts” out there talk about how you need to fight the Instagram algorithm, so you can keep your exposure up on the platform. But they’ve got it completely wrong. I’ll let you in on a little secret. You don’t need to fight the Instagram algorithm. 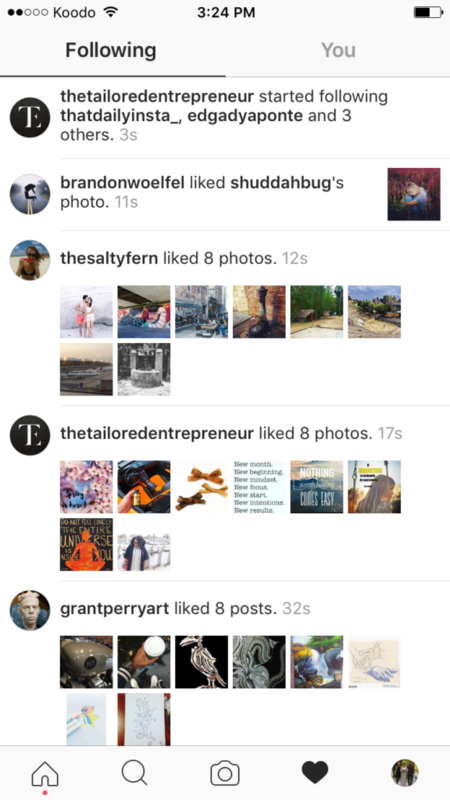 You need to USE the algorithm to get onto the Instagram Explore Page and get crazy good results. And you won’t just see a boost in likes and comments, but new followers too. We’re talking potentially hundreds, even thousands of new followers per day. Did you know that was even possible? Because I didn’t — at least not until I tried it. If you had told me I could gain several thousand followers from one post, I would have told you that you were crazy. That you were completely nuts. That is, until I tried it myself. And the results speak for themselves. You can USE the algorithm to get onto the Instagram Explore Page. 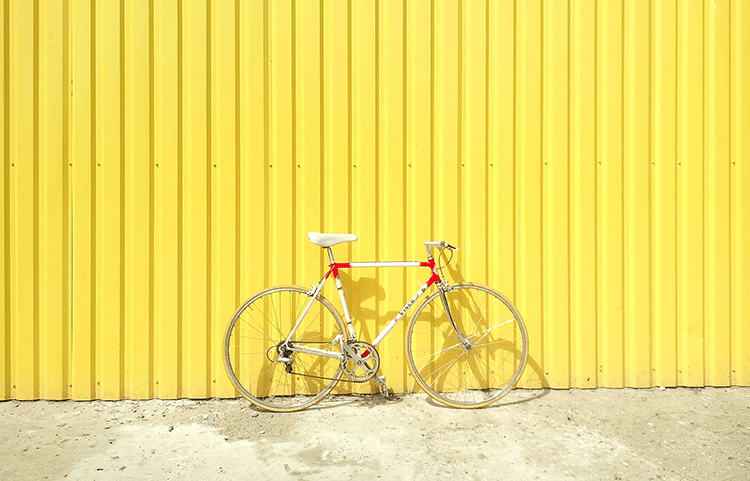 What exactly is the Explore Page anyway, and how do you use it to your advantage? The Instagram Explore Page is an incredibly powerful feature, one that can help you gain a MAJOR boost to your exposure with minimal effort if you know how to get one of your posts to land on it. Its main function is to help users find the content that they like the most. It’s also the secret many big accounts use to grow their following at a staggering pace. With millions of users posting content to Instagram every day, getting your content on the Explore Page may seem like a tall order. Though it does require a bit of luck in addition to careful strategizing, it isn’t all that difficult to do, even with a small account. 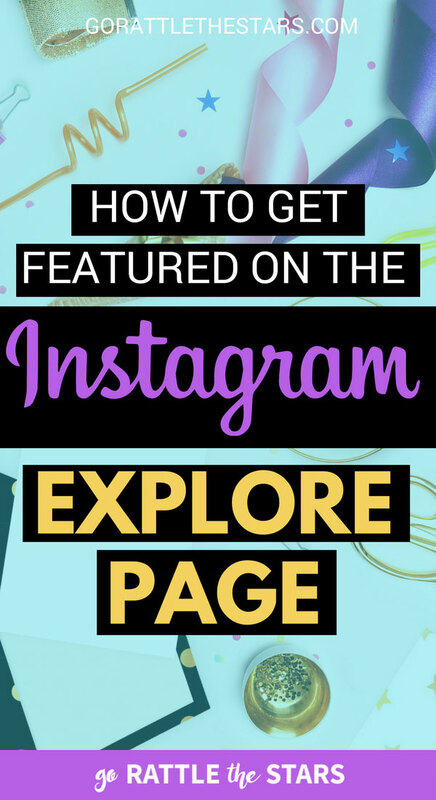 In this in-depth guide, we’ll dive into exactly what the Explore page is for, how it works, and how you can get featured on it in order to reap the benefits. You can find the Instagram Explore page by tapping on the magnifying glass icon in the menu at the bottom of your screen within the app. Though the Explore page is different for every single user, it’s filled with an array of many different posts. The content here is made up of things you’ve recently liked as well as posts liked by people whose content you’ve liked. This may seem a bit confusing, but it’s actually a great thing for your business. When your followers double tap and like your Instagram posts, your post will now show up on the Explore page of users following them. 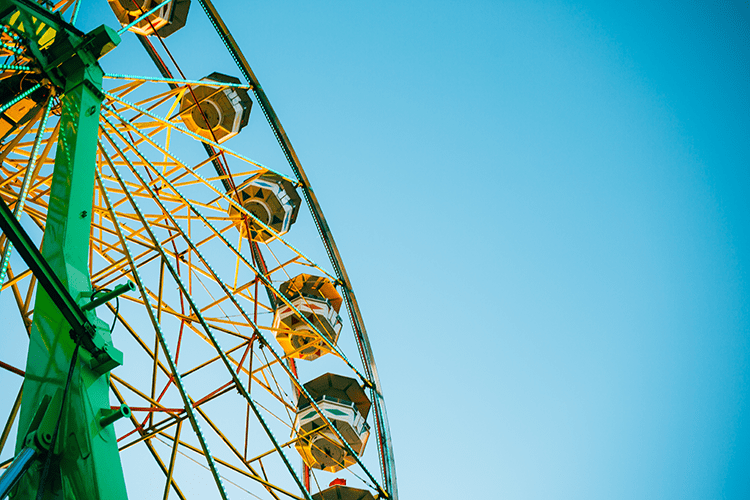 Therefore, the more people you get to like your content, the more people will see it, and in turn even more people will like your content (hooray for positive feedback loops!). This snowball effect is how your post can go viral by utilizing the huge network effect of your followers and all their followers combined. This can lead to a huge boost in new followers who find you after your content shows up on their Explore Page feed. That’s one of the reasons why you’ll hear a lot of Instagram experts going on about how important your engagement rate is to your success. If you post an amazing photo that really resonates with people and it gets a lot of interaction, your chances of hitting the Explore Page greatly increase. 23,000 views and 1,600 likes! All thanks to the Explore page. This happened by chance with video post from a friend’s Instagram account @galuzziart. 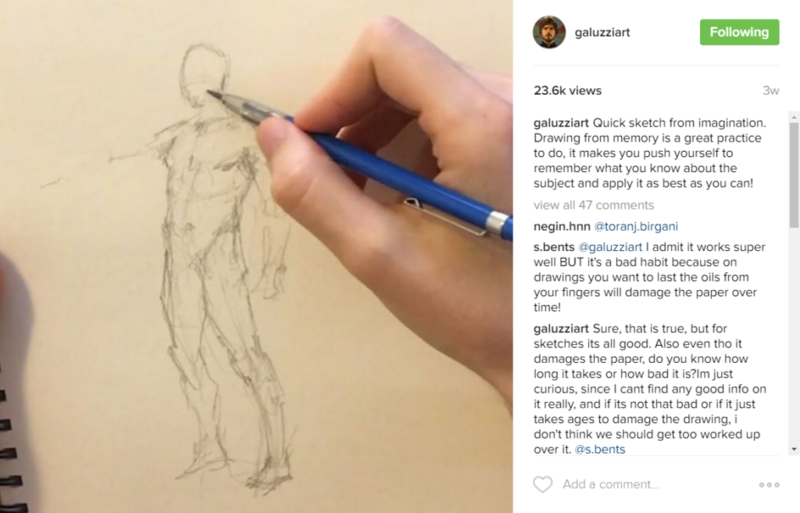 He’s an artist who uses his Instagram account to showcase his artwork and drawing tutorials, and usually gets between 200-300 likes per photo/video. However, this video got over 20,000 view and 1500 likes (and 50 comments), because it started going viral on the Explore Page. The Instagram Explore Page is constantly changing and evolving — so it’s a good idea to keep up to date with what kind of content is performing best on it. Instagram has recently started promoting video content more aggressively across the platform. 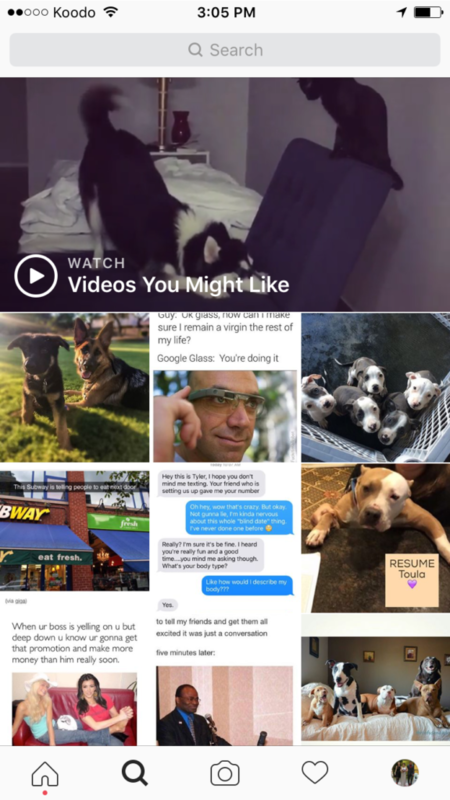 One way they’re doing this is through the “Videos You Might Like” section, a curated video channel at the top of the Explore page that features video content tailored to your interests. This should clue you in that now is a GREAT time to start thinking about how you can incorporate video content into your Instagram strategy! Of course, video isn’t the only way to get featured on the Explore page or to rapidly grow your account, as there are many ways to make your account stand out from the crowd. 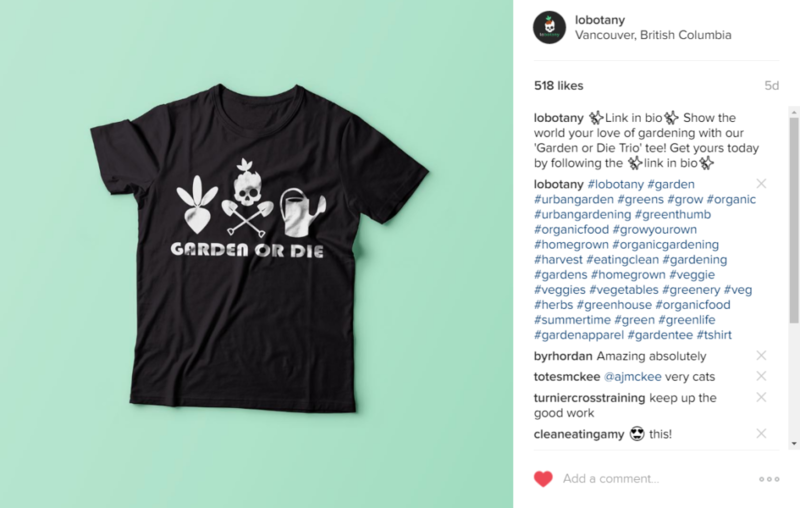 Besides getting more likes and eyeballs on your page, a successful Explore Page strategy will help you turn your new fans into followers who may eventually buy your products. Because the algorithm works to tailor the Explore Page to the interests of each individual user, you’ll gain exposure to a very targeted audience that is interested in the kind of stuff that you do. This is much more powerful than exposure to a completely random audience. The best part of all this? 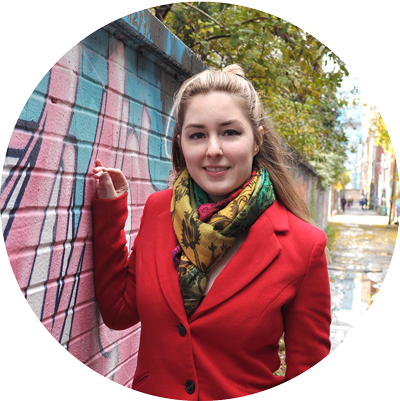 You don’t need to have a huge marketing budget (or any budget at all) – this strategy won’t cost you a thing. So we’ve already established that getting a lot of likes and comments is important to hitting the Explore page. You also want to get them as soon after publishing a post as possible. You’ll need this initial boost of engagement to better your chances of getting onto the Explore Page in the first place. Likes and comments are important, but there is one more key factor to consider: the size of the accounts leaving the likes and comments. To bolster your chances of landing on the Explore Page, getting accounts with large followings to engage with your content is essential. If you post a photo and @beyonce (who has a whopping 114 million followers) likes it or comments on it, then your photo will appear on the Explore page for all the people who like/comment on her content. That’s a lot of people! This is the network effect in action, and it can have a huge impact on making your post go viral because the more people there are liking and commenting on it, the more people’s Explore Pages your post will appear on. The results of the Explore Page’s network effect: 113k views! So why does the Explore Page Work this way? Instagram is trying its best to boost both the number of people on the platform and the amount of time each person spends on it. The Explore page functions in a way to tailor its content to your interests, giving you more of what you like and less of what you don’t. It’s a smart way to keep you on the platform longer as you get caught up looking at the content that you enjoy the most. If I go and like a bunch of puppy photos, I’m going to start seeing a lot more photos of puppies in my Explore Page feed. 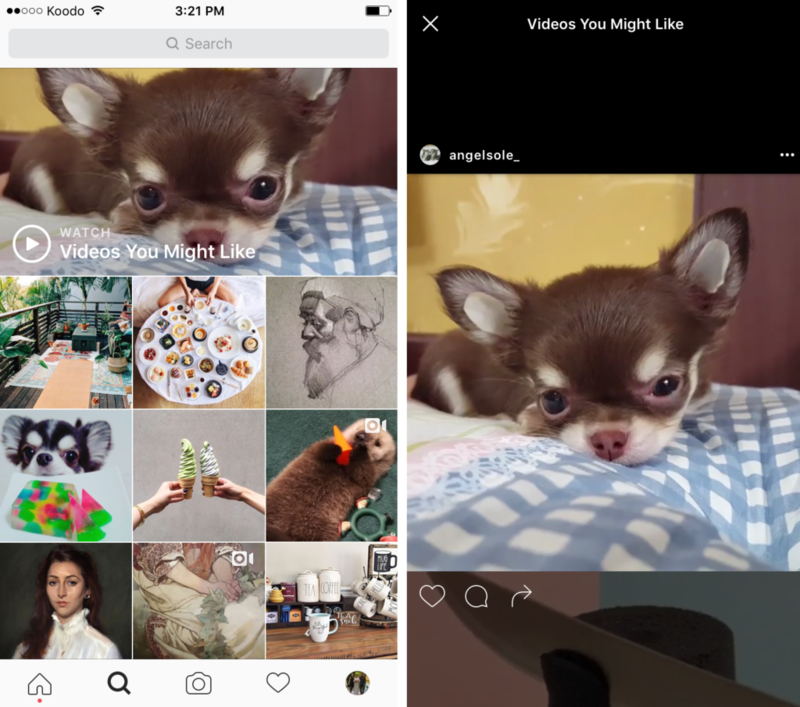 But most people have varied interests, so their Explore Pages are going to be a medley of all the different things they’ve been interacting with lately on Instagram. My Explore Page after liking a bunch of puppy photos. This is fantastic news from a business perspective because it means that Instagram is doing the work of finding your ideal audience (and potential customers) for you. The Explore page pushes you to the people most likely to have an interest in your subject and the specific content you’re putting out there. The big question remains: What is the best strategy to land yourself on the Explore Page? Read on my friend, and I’ll tell you exactly what you need to do. First thing’s first, in order to get on the Explore page, your content is going to have to be up to snuff. Instagram wants to give people amazing content that they love and engage with, and you’re going to have to provide it! In order to go viral, you’ll need to compose an image or video that captures attention and gets people to click that heart button. *Quick tip: video is hot right now on Instagram, so it’s a great choice to try when aiming to go viral! Notifications in my ‘Following’ activity feed. The best way to find out what that content looks like is to see what other successful people are doing. Look at some bigger accounts in your niche, and analyze what they’re posting. What kind of content is getting the most likes? The most comments? Which videos are blowing up and getting tens of thousands of views? You’re going to want to look for the outliers, the posts that do exceptionally well in comparison to the majority of your competitors’ posts. In addition to that, analyze your target audience. What do they want to see? You can find out by looking at the type of content they’re interacting with the most. You can take a peek at what the people you’re following are engaging with by clicking the heart icon, then selecting the ‘Following’ tab within. This will pull up a list of what your network is liking and commenting on – all useful information to you. Use this information to create the type of content that your target market loves—so they can help boost you to Explore. 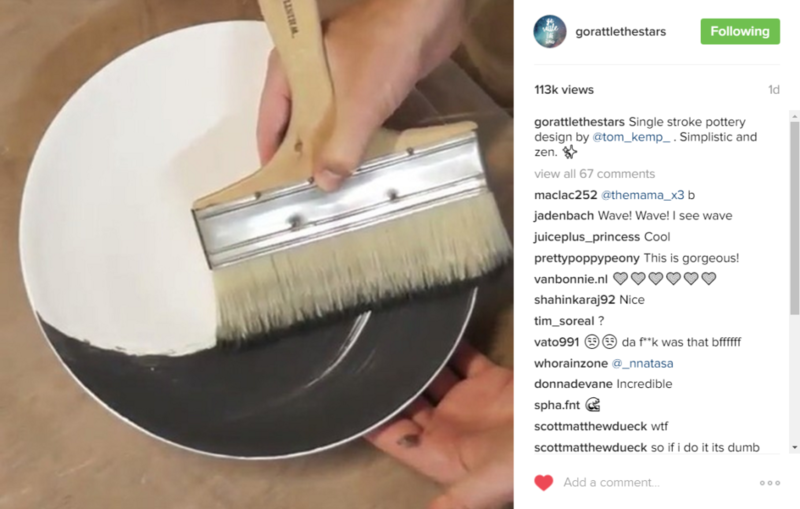 I go into greater detail on creating and posting viral Instagram posts in this blog post here. Since you need a ton of engagement from your own audience in order to reach Explore, posting when your followers are online is essential. Posting at peak times will gain you more engagement per post than when you post at a time when everyone is sleeping or busy at work. Engagement from your audience is most potent in boosting your post when it comes soon after you post your image or video. A good initial boost will create the wave that grows over time as more and more people see your post as a result of the initial boost of engagement. How do you get more people to like and comment on your post? Instagram is all about interaction, and you don’t want to be having a one-way conversation with your audience. Writing a good caption is essential in getting people engaged, and enticing them to click that heart button or post that comment in reply. Many people who click on your image have never heard of you or your brand before, unless they’re already following you. By including a call-to-action in your caption, you can let them know more about you and prompt them to take further action. Ask them a question, tell them to tag a friend who might like the post, or let them know that they can follow the link in your bio for a freebie. A post with a CTA asking people to tag a friend in the comments. Having trouble coming up with effective CTAs? The blog over at Plann (an Instagram scheduling app) has a great article to help you come up with effective call-to-action prompts specifically for Instagram. Whether you know how to use them or not, hashtags are here to stay and they are a powerful part of Instagram. Posts with hashtag get more engagement on average than those without, so leave them out of your Explore page strategy at your own peril! Hashtags work to label and categorize content on Instagram, making it easier for users to find the content that interests them. A post using the maximum 30 hashtags, which are all niche relevant. Keep your hashtags niche specific, so you only attract a focused and targeted audience of people who are keenly interested in your topic (and are therefore more likely to engage). 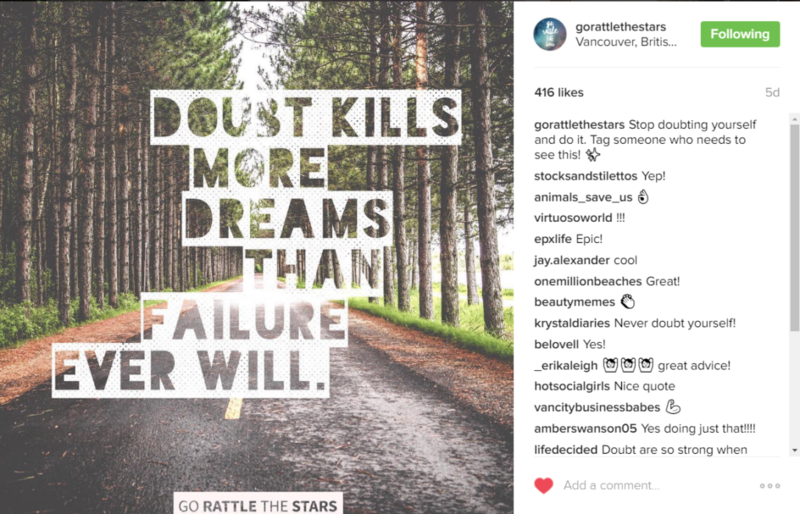 A common mistake is to use the biggest and most popular Instagram hashtags…but these won’t gain you much attention because there’s just so much competition to deal with. Use hashtags that are specific to your niche, and that have at least a few thousand posts under them. 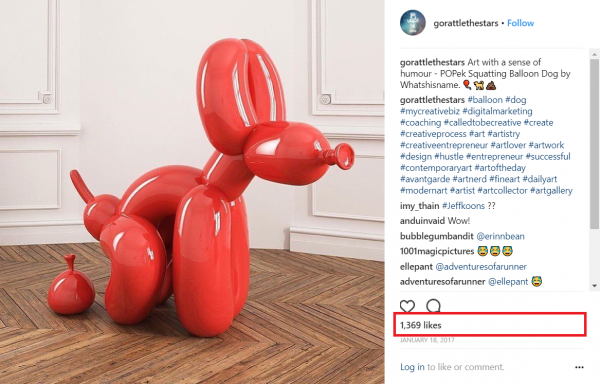 Take an in-depth dive into the hashtag strategy I use to grow both my accounts by reading Everything you need to know about hashtags (on Instagram). Of all the steps mentioned so far, this one is the most powerful is getting your content on Instagram’s Explore page – by far. We’ve already mentioned that you need to get a lot of likes and comments to get your post on the Explore Page, and the more you can get from bigger accounts the better. So get your friends together, your competitors, or just a group of ambitious Instagrammers, and work together to boost each others’ posts. 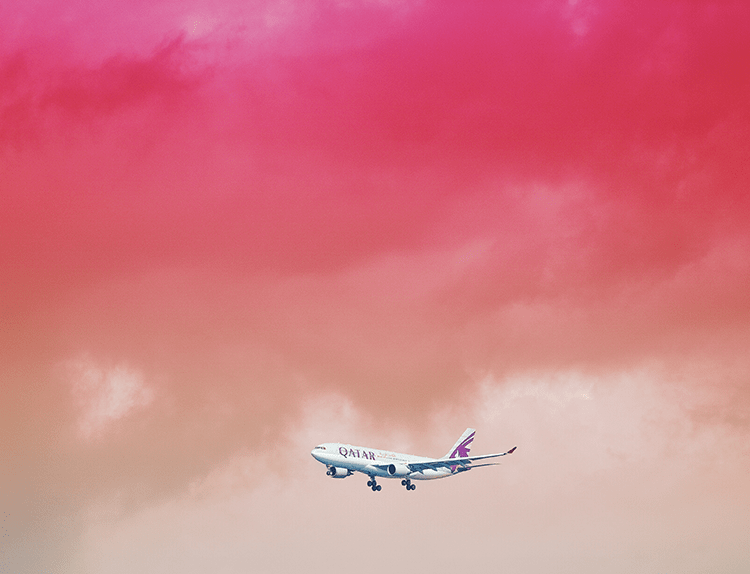 Your efforts will pay off the more you grow. Even if you all start out small, eventually you’ll grow big enough to have a real impact, and your chances of getting on the Explore page will skyrocket. Success on Instagram is all about connections. 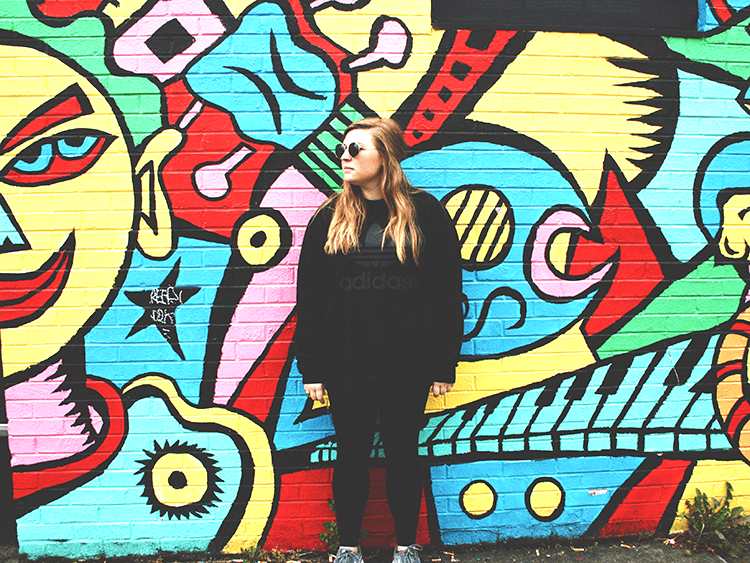 Instagram is a social network after all, so use it to your advantage! Growing is a heck of a lot more fun when you do it along with other people anyway, so start working together and encouraging each other on your way to success. The more engagement you can get on your posts, the more people will see it, and the better your chances are of getting on the Explore Page where even more people will see it. This is great free advertising for you and your business, so I highly recommend aiming high and going for it! The results can be incredible, with thousands upon thousands of people seeing what you have to offer. Great viral content is the first piece of the puzzle, but it’s only the beginning. Remember to post at optimal times when your audience is online, and include a call-to-action to encourage engagement. Add hashtags to your post to attract even more of a targeted audience, and get your network involved and working together to build each other up. 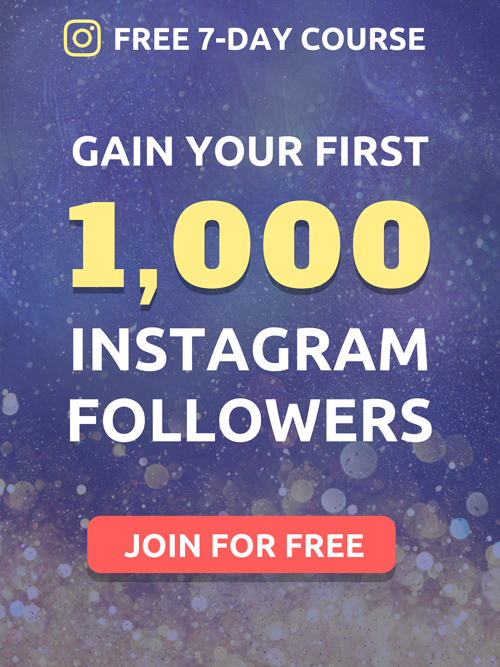 This strategy will not only help you to grow your presence on Instagram, it’ll start you off on creating an authentic, enthusiastic, and engaged online tribe. 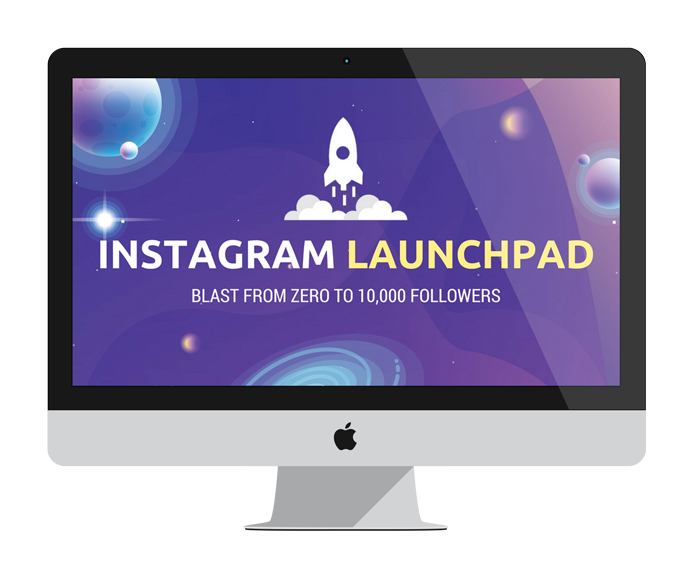 If you want the FULL step-by-step guide for growing your Instagram to 10,000 followers & beyond and MONETIZING your account, then my course Instagram Launchpad is for you. Ever since the new algorithm my engagement seemed to drop to less than half of what I was once getting. I’ve practically stopped posting because I’ve just been so busy. But this is good to know. Maybe I’ll give it another shot in the near future.